Balrogs are Maiar who were corrupted by Melkor to become evil. Sauron was also a Maia who was corrupted by Melkor and became evil, and Saruman was a Maia who was corrupted by Sauron to become evil. That said, though, I have no idea if they themselves are Balrogs. If they are, why are they? If they're not, what are the specific differences between those two individuals and balrogs? This seems to suggest that the Balrogs were part of the service of Melkor during the Music of the Ainur. These "spirits of fire" were in the service of Melkor before time and were corrupted to his purposes after coming to Ea. This means that Sauron and Saruman as Maiar of Aule were not Balrogs as they did not originate with Melkor during the music. For of the Maiar many were drawn to his splendour in the days of his greatness, and remained in that allegiance down into his darkness; and others he corrupted afterwards to his service with lies and treacherous gifts. Dreadful among these spirits were the Valaraukar, the scourges of fire that in Middle-earth were called the Balrogs, demons of terror. Among those of his servants that have names the greatest was that spirit whom the Eldar called Sauron, or Gorthaur the Cruel. Gothmog was the Lord of Balrogs, yet Sauron was Melkor's second-in-command, had he been a Balrog, he would've been the "Lord". That stronghold was commanded by Sauron, lieutenant of Melkor; and it was named Angband. And Legolas labeled the Balrog of Moria a Balrog and claimed him to be the second most deadly of Elf banes. If Sauron was a Balrog, would the Balrogs not be the deadliest? 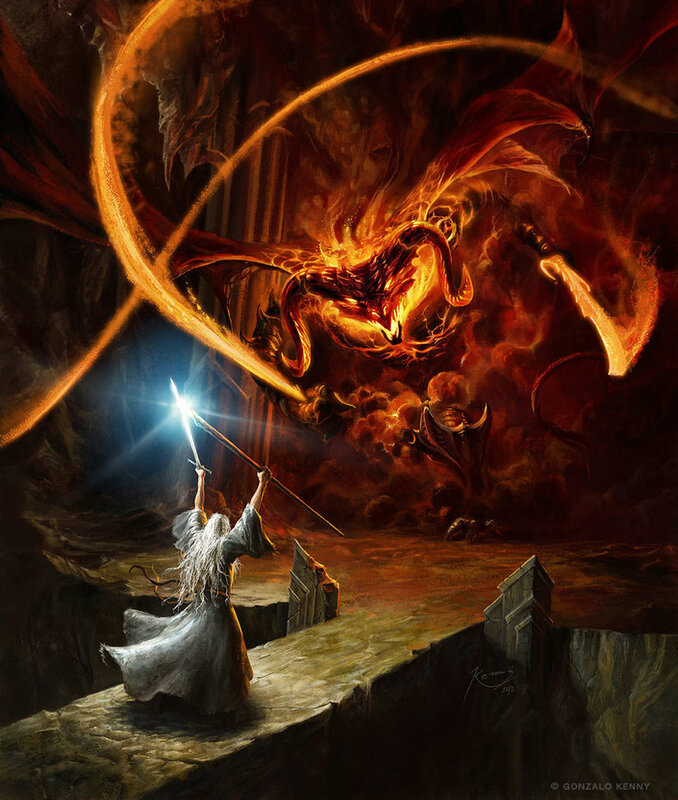 It was a Balrog of Morgoth," said Legolas; "of all the elf-banes the most deadly, save the One who sits in the Dark Tower. Balrogs were a specific type of Maia - spirits of fire - whereas both Sauron and Saruman were mentioned as being not of that type. ...and she was chosen because she had not feared the heats of Laurelin, and was unhurt by them, being from the beginning a spirit of fire, whom Melkor had not deceived nor drawn to his service. If Arien had been corrupted she would doubtless have become a Balrog; because Sauron and Saruman were not spirits of fire, they do not become Balrogs. Not the answer you're looking for? Browse other questions tagged tolkiens-legendarium the-lord-of-the-rings sauron saruman balrogs or ask your own question. How large were Saruman's and Sauron's armies?